In most European countries chemistry education has a very good and very long tradition. In some countries there have been, as unique educational institutions, even secondary schools and universities or other Higher Education Institutions (HEI) specially oriented on chemistry as e.g. some of the German Hochschules. Unfortunately there were, possibly for the reason of historical and political separation, also several different ways of teaching chemical disciplines with different demands on curricula composition and level of graduates who would more or less fit the labor market. In some countries there was stress given on scientific or academic profiles, in others on practical and even industrial aspects of chemistry. Even now, if someone says “chemical technology” it may mean different things both in the meaning and curricula content. In some countries also chemical engineering is taught either in mechanical engineering or chemistry oriented HEIs or just programs. Chemistry, chemical technology and chemical engineering are also an integral part of curricula of programs oriented towards food, pharma, materials, biotechnology and other branches of science and business. In this situation several HEI educators became aware of the issues that may result from this situation in the EU. The original aims of this group were based on the outcomes and recommendations of the Erasmus Congress “Chemistry in Europe” held in Lyon, in March 1995 and the European Commission White Paper on education and training “Teaching and Learning: Towards the Learning Society” which was approved by the EU Commission in November 1995. The White paper states that a multitude of incentives to learn must be provided, and launched an action concerning the recognition of skills at the European level as one of the ways to provide these incentives. As a consequence of this, four founding fathers, a Frenchman and three Englishmen from different corners of Europe (Prof. Jean Huet, Lyon, FR; Prof. Anthony K. Smith, Lyon FR (pictured); Richard Whewell, Strathclyde UK (pictured); and Terrence N. Mitchell, Dortmund DE) initiated with many collaborators two EU projects entitled “The European Thematic Network” and “The Evaluation of Core Chemistry“. One of the prioritized topics of the project was aimed at all the chemistry first degree patterns in Europe that encompass core topics together with a range of options in more specialized chemistry. The aim of this group was to identify these core topics and make a comparative study which would lead towards better recognition of European qualifications, at the same time providing cross-fertilization of teaching methods. Thus in the period of 1996 to 1999, the group considered all the basic curricula, syllabi and learning sources including mathematics and physics requirements for chemistry students. In continuation of the work the group aimed to consider core chemistry for the future, including both teaching methods and assessment. The core chemistry group and seven other similar working groups were covered by the European Chemistry Thematic Network (ECTN) project, in a network of over 130 chemistry departments from all Member States of the European Union, Norway, Iceland, Switzerland, Bulgaria, and Romania. ECTN as a project was founded in September 1996 and was funded by the European Commission as part of the SOCRATES / ERASMUS program. As a tangible product there was already in 1998 a book published entitled ECTN Core Chemistry Group National Reports (ECTN, Lyon, 1998; finalized by Typografia Negri srl, Bologna, IT) edited by the Core Chemistry working group leader Prof. Paolo Todesco, Universita di Bologna, IT. These reports gave a clear view of the current situation in chemistry courses throughout Europe. 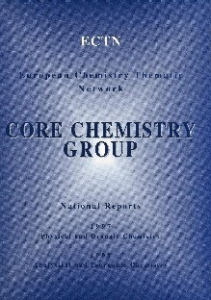 As a second product there was distilled off the collected material a quintessence, a booklet ECTN Core Chemistry Group: List of Topics and Learning Objectives (ECTN, Lyon, 1998, P. Todesco, ed.). While the first one gave a survey of curricula, curricula content, teaching methods, learning materials (textbooks used) etc. in all courses of chemistry in the best HEIs in Europe, the second gave harmonized basic requirements for the content of an ideal, balanced program for all basic branches of chemistry, including math and physics requirements. Parallel to the Core Chemistry there was originated in 1997 a group aimed to develop an examination tool for chemistry on a web platform, called Core Chemistry Test (later EChemTest®), based on the Core Chemistry research results developed by a group led by Pascal Mimero, Lyon FR, for the informatics component, with other group leaders for the organic, physical, inorganic, analytical areas of chemistry, and for pre-university chemistry. Since 1997 many European university teachers have created and tested batteries of question for all levels of “examinees”, from freshmen to postgraduate students, in all basic branches of chemistry that contain over 4 thousand validated questions with most of them not only in English but also in many European languages. In 2000 the TUNING Educational Structures in Europe project started to link the political objectives of the Bologna Process and at a later stage the Lisbon Strategy to the higher educational sector. 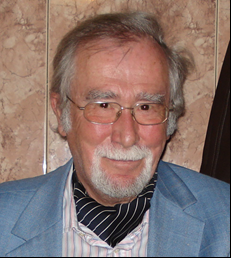 The ECTN, as a logical development of this into chemical education, created, under the baton of Terrence N. Mitchell, Dortmund DE (in the picture), in 2003 the first institutional label of quality for chemistry HEI programs the “Chemistry Eurobachelor”®. This applied the Core Chemistry and Learning Objectives of the basic requirements for chemistry bachelor study as well as educational components, teaching methods, grading, etc. bringing a “legal” framework for high quality educational programs. 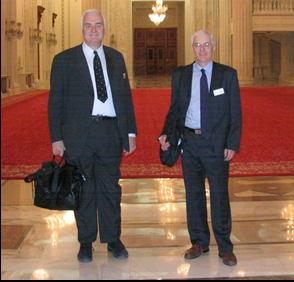 In 2006 the scheme was enlarged to the “Chemistry Euromaster®” and in 2011 to the “Chemistry Doctorate Eurolabel®”. In total, over 100 quality Eurolabels have been awarded, most of them to European universities (some of them to non-EU HEIs), each for 5 years after which a reassessment must take place. Every labelled institution takes on board an obligation that any student graduating from a course with a Eurolabel, as shown by the graduation documents (Diploma Supplement) must be considered eligible for the entry procedure for a higher level degree course in the same way as one of their own graduates. For the quality label assessment procedure the HEI must submit a Self-Evaluation Report that covers all basic requirements of the Label. For the Eurobachelor® e.g. it is a description of: outcomes of subject knowledge, abilities and skills; courses content; distribution of credits; European credit transfer system (ECTS) application and student workload; modules (or course units) and student mobility; methods of teaching and learning; assessment procedures and performance criteria; grading; diploma supplement description; and quality assurance. In no case does the assessment procedure require unification of the university teaching. On the contrary, based on the classic university autonomy, the process requires that modules corresponding to a total of at least 150 credits (including the bachelor thesis) should deal with chemistry, physics, biology or mathematics. In summary, for the 180 credits available, ≥90 credits are allocated to the core (these 90 credits will cover the following areas: analytical chemistry; inorganic chemistry; organic chemistry; physical chemistry; biological chemistry; physics; math), ≥15 credits to the bachelor thesis, ≥ 15 credits to the semi-optional modules. The remaining credits (30 of which may come from modules not dealing with chemistry, mathematics, physics or biology) may be freely allocated. For grading and workload the ECTS scale and credits shall be used. Europe-wide Interuniversity and professional mobility shall be supported and hence one other major European language competency must be assured (the basic scheme works with a 3 year first cycle bachelor study which contains 180 ECTS credits, however, also available for 240 ECTS credits is a 4 year bachelor study program). Overview of skills and competences again copy the Core Chemistry Learning Objectives with a great deal of possible autonomy for specialized programs as e.g. in radiochemistry, biological or environmental chemistry or above mentioned chemical technology in any of its concrete meanings. Great importance is given to the final thesis that at the bachelor level shall represent an individual research or industrial project, the results of which will be presented in the form of a written report. This report may be subject to examination and will in any case be graded. Projects leading to the Bachelor Thesis could well involve teamwork, as this is an important aspect of employability which is often neglected in traditional chemistry degree courses. The bachelor thesis should normally carry at least 15 credits. developed those learning skills that are necessary for them to undertake further study with a sufficient degree of autonomy. Based on the self-assessment report and a site visit, the Eurolabel award process is two tier, where firstly the so called Label Committee, together with the specialists registered in the Register of Experts, judge the program to be awarded and the ECTN Administrative Council awards the Eurolabel for 5 years. For re-awarding, the procedure is similar. The ECTN Label Committee in the past several years not only thoroughly studied and got inspired by the documents of the ACS Committee on Professional Training and ACS Society Committee on Education but based on agreement and mutual understanding uses some material and guidance in its procedures. Both sides saw from the beginning of contacts the necessity of having comparable outcomes of all levels of chemical education. Chemistry Eurolabels thus provide a tool to the universities and other HEIs to formulate or modify courses that would become highly comparable in the expected deliverables, and which on the other side gives the students greater opportunities of interuniversity mobility, and as was proven in a recent study, also enhances their employability. During the past twenty years ECTN had been supported by the EU in several EU projects, where issues of the image of chemistry, environmental problems, methods of teaching, post-university training, chemical legislation, chemistry in cultural heritage, employment of chemistry graduates, distance learning, chemistry entrepreneurship, specific linguistic aspects of chemistry, second cycle teachers education, and many others were researched into. Several student summer schools on different topics and many meetings and conferences were successfully organized and books and papers with final working groups reports and statements published. In 2015 the last program financed by the EU ended and was again positively evaluated. It should be noted that all the projects since ECTN origin were successfully administered and led by Anthony K. Smith. In the meantime the project leaders saw the necessity of having sustainability and a legal entity that would represent all positive achievements of ECTN projects. Hence, in 2002 there was established a parallel structure, the ECTN Association, a non-profit organization with a legal site in Brussels, that associates close to 100 universities or their departments that teach chemistry, national chemical societies and even companies. The ECTN now is governed by an elected Administrative Council and has two standing committees: one is the “Label Committee” that takes care of Eurolabels and assessment of study programs in chemistry; the second is the “Virtual Education Committee” that takes care mainly about the internet based examination tools, namely the EChemTest. In 2017, the ECTN created a third standing committee, entitled ‘Quality Standards in Teaching’, which is chaired by Leo Gros (Hochschule Fresenius, Idstein, DE). Some of the aims of this committee are to expand the scope of quality standard tools/labels of ECTN into new formats of programme/course design and beyond HE into VET, non-tertiary post-secondary and secondary education as well as continuing professional development courses (CPD); Look for overlaps/compatibility and permeability between course types and levels; Identify and describe benefits/value/advantages of Eurolabels for students, teachers, universities, and community with the aim to better disseminate knowledge about Eurolabels. More details can be found on the ‘Quality Standards in Teaching’ web page. The ECTN also has a number of work groups and details can be found in the work groups section of this website. ECTN which has a reciprocal membership with EuCheMS, the European Association for Chemical and Molecular Sciences, is a key player in representing chemistry teaching in universities and HEIs in Europe and concentrates its activity mainly under the slogan “Excellence in education”.